This trick works for Android, Symbian, Windows Mobile, and Iphone. Note: This trick is found by the Me, the Administrator of this Blog. If you see this trick anywhere on Net, kindly report me. It is the violation of Copyright of this blog. 1.) Go To m.opera,com and download Opera Mobile. 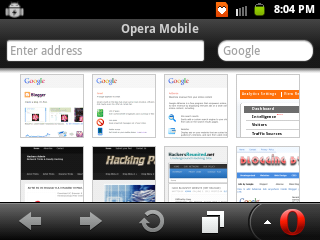 Note: Download Opera Mobile, not Opera Mini. Don't be confused. 4.) Now scroll down untill you see Proxy. Click on it to expand the tab. 5.) 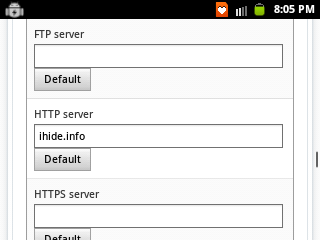 Enter the value for HTTP server as any of the proxies below. These are working proxies with airtel now. Please comment if any of the following proxies are not working. I'll update it here. Always browse through This proxy page only. Don't enter any websites by entering URL directly into the address bar. 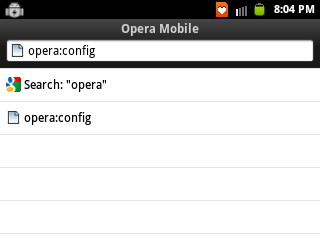 i cant find any opera mobile app.i use sony ericsson.pls can u send me a link at ebenezerogoe@gmail.com? Don't need to check the checkbox Use HTTP ??? hy,am usin airtel nigeria,this hack worked last night bt nt anymore this morning,wonder if my operators blocked it or just server error.i will try again later though but wonder if i can get help. i used to use the handler ui with moded opera mini next but, after flashing with odin , my firmware is running fine but i am not able to use ANY of the proxy tricks! there is no proxy workng in kerala..
Is this working only on AIRTEL MOBILE?